Kazan Clark: Giving Leftovers the Respect they Deserve! Giving Leftovers the Respect they Deserve! I realize that many of you, just like me, find this time of year so hectically busy that it is hard to keep up with all the homemade crafty goodies that you would LIKE to make - never mind those things you HAVE to make (read: Christmas cards!). I created this project for today's Spellbinders Blog post to not add to the burden of crafting for the Holidays but rather to make it easier to create something fab in no time - hard to believe but true! Leftovers are often times the neglected necessity at any special dinner party. I love leftovers and Thanksgiving leftovers are by far my favorite to savor days after the big event. I know many may identify with me as this situation arises: The meal comes to an end and I am left scrambling in my kitchen looking for the perfect size container to send home with my guests. Well this year I scramble no more! I found these cute take-out containers in the deli section of my grocer (truth be told they sent me home with two to house little Mac&Cheese cups and I could not toss them. Instead I went back for four more!). Second scenario: Telling my guests to remember which container is theirs - problem all the containers are identical. Hence my custom Lovely Labels for Leftovers tags were born. Not only can I label each container with the person's name but I can also write a personalized note inside or list the contents with reheating instructions :) Move over Martha!!!! 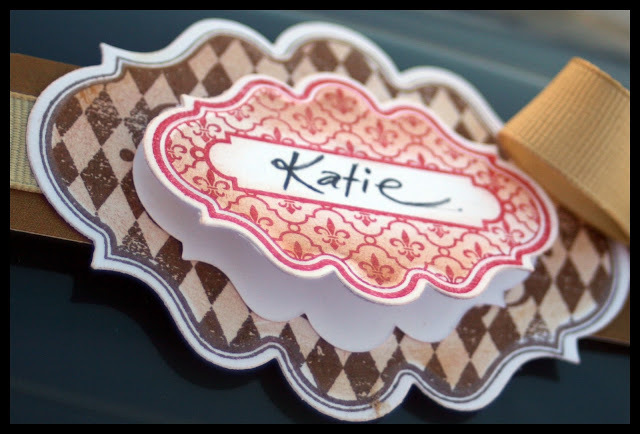 For a full list of supplies for this project please visit the Spellbinders Blog. Thanks for visiting today - I hope you have been inspired to give those delicious leftovers the special attention they deserve! 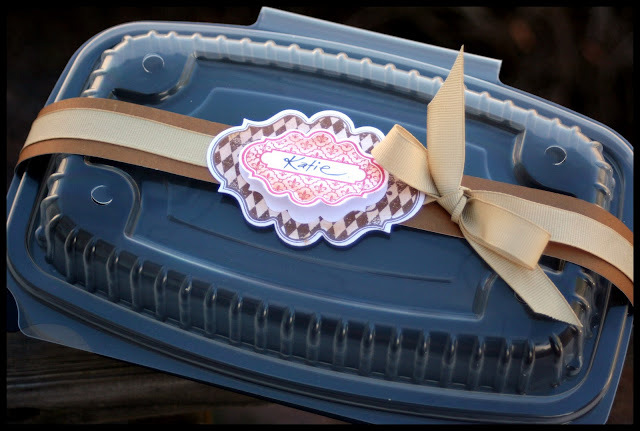 Clever and wonderful hostess idea! I'm sure your holidays are full of lovely creative ideas and handmade touches! Wishing you and your family a very special Thanksgiving full of blessings! Win with Spellbinders and Crafters Home! Handmade Holidays Blog Hop Day 3!